Finishing the walls, windows and ceilings in your basement is an important part of making the area a functional space that you and your friends can spend quality time in. 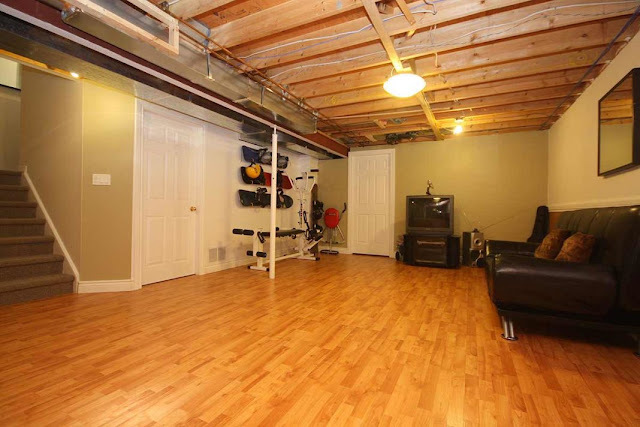 While the look of these basement elements is important and helps to display your decorative preferences, you’ll also need to make sure that the framing and structural aspects of this part of construction are intact. Before you get started on this aspect of the basement renovation, you should work with a contractor to draw a plan of the remodel and give the drawing(s) to the department of building inspections in your area. Include the dimensions of the walls, as well as the sizes for the doors and windows. Your plan should also indicate what the new basement space will be used for. You should also make sure that you have accurate measurements for pipes and electrical wiring, since this will factor into the measurements for your ceilings, windows and walls. Think about energy efficiency when finishing this aspect of the basement as well. If you don’t have good insulation in the basement or you’ve had moisture issues in the space, you’ll need to take special care that these issues don’t affect your basement finishing project in order to keep your family safe and to keep basement renovation from becoming too expensive. Seal all the openings in the framing for the walls, windows and ceiling and around the pipes. You can use spray foam or a caulking gun to accomplish this. Insulate the board that is positioned on top of the foundation to add more support to the floor joists. This also prevents air from leaking into or out of the basement to regulate temperature and prevent moisture accumulation. You may also want to glue extruded foam insulation to the walls of the basement foundation to keep heat from leaving the basement area and providing a barrier that keeps water out. It can be a rather difficult to construct a basement wall on the floor of the space and lift it into place. This is why stick framing may be the best option, so that you can install the bottom and top parts of the wall first and then cut studs that are the correct size for the rest of the wall before toenailing them to the structure. This means that your studs will be custom-cut and will allow you to frame around unique construction or uneven walls in the basement. This also allows you to build your wall a few inches from insulation, which creates a space that will help to regulate the temperature in the basement. Finally, you’ll also need to frame the windows in the basement. If you’ve already got windows, don’t drywall over them. You need to let natural light into the basement and you will likely need to open the windows every now and then to let fresh air into the space. Frame the windows by installing the studs, install the window frame and then include the type of glass that would add the perfect finishing touch to the basement area.